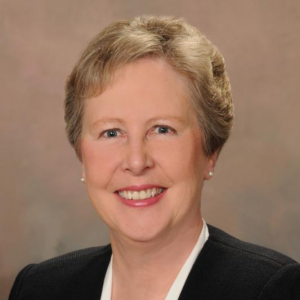 Charlotte Smeak Verreault has been a dedicated SCICU Board member since 2011 and has served as a member of SCICU’s Development Committee. We are excited to relay the news that Charlotte has taken a new position with her alma mater and will serve as Vice President for External Affairs and University Relations at Converse College. As V.P. for External Affairs and University Relations, Charlotte will focus on the development of philanthropy, fundraising, alumni engagement and donor relations, and special advisory boards including the Alumni Board and Board of Visitors, communications and brand management, media and public relations, and events. Charlotte had previously worked for Milliken & Co. In addition to her involvement with SCICU, she is a Trustee at the Spartanburg Day School, a board member for Habitat for Humanity, and serves as a member of the Furman University Parents’ Council. Charlotte is also a past president of the Converse College Alumni Association. We congratulate Charlotte on her appointment and look forward to working with her in her new role with Converse College.